Montana has expressed interest in having an email account but there are so many dangers out there in the online world that I have been hesitant, until now. My youngest two daughters, Montana and McKenzie, now have their own kids email address! They both have been sending and receiving emails with the Annual Subscription from KidsEmail.org. 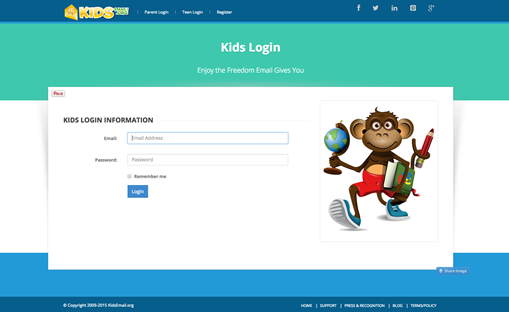 KidsEmail.org has been around since 2009 and was designed to help protect children and families while online by providing aceess to safe email for kids. I wish I would have known about this when I was signing Mikayla up for email a few years ago. 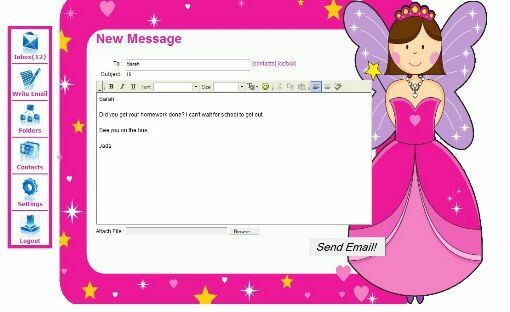 It would have saved me the heartache of deleting all the *junk* she gets in her email box. Mail Monitoring ~ parents are able to receive a copy of all incoming and outgoing, if you choose, mail so you know just what is being received and or sent. Time restrictions ~ set time limits or restrictions on your childs account. They will only be able to log on during set times. A friendly message will display if they try to log on during restricted times. Mail queue interception ~ this feature allows the parent to intercept an email that did not follow the prescribed safety rules for the account. After reviewing the email the parent can then approve or deny the message all together. Blocking senders ~ block senders you don’t want contacting your child, even if you allow your child to receive email from anyone. 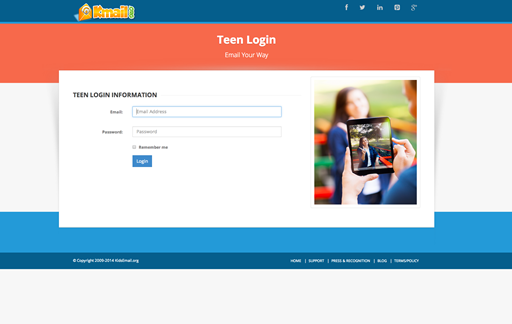 Contact manager ~ manage your child’s contact list of who can send or receive emails. No ADS ~ THIS IS THE GOLDEN TICKET, NO ADS at all! Custom mailbox folders ~ create custom mail folders to organize mail. With so much to offer, we are super pleased with our subscription! One of my favorite parts has to be the Read It Feature. McKenzie is still a beginning reader, so being to select the “read it” feature on an imcoming email is so helpful. She can check her own email, like a big kid. I also appreciate the fact that KidsEmail grows with my children. As they grow I can switch them over to the teen and older address seamlessly and know that they still have all the same features as a little kid account. In fact, I have just recently switched Mikayla to the teen account and have disabled her orginal email because of the questionable emails she has been receiving. Setting her up was just as quick and painless as when I opened Montana and McKenzie’s email accounts. Be sure to check out what my CrewMates thought by clicking the banner below. And if your kids want to be email pen pals, drop me a line and we can set something up for Montana and McKenzie.